Can’t figure out what to buy for Dad this Father’s Day? Don’t stress, I’ve pulled together 10 great gifts to surprise dear old Dad with this year. Click on the photo to shop! When in doubt cologne can always be a great gift. Basically every Dad wears it and it’s not cheap. If you don’t know what kind he wears there are great tester packs at Sephora where he can try a bunch and then bring it all back and exchange it for a large bottle of his favorite. My dad loves Versace Eros so try that one too if your stuck! Is your dad the type to use a wallet until it falls apart? Mine is! So this year I am helping him, help himself by getting him a new wallet! And this TUMI wallet is great because it has so many pockets to hold a ton of cards, cash in the back and his ID in the front. You can’t go wrong with a nice wallet. Is your dad always on the go and needs his caffeine fix? Or does he pride himself on being a coffee aficionado? Then getting him a Nespresso machine would be the perfect gift! Their Vertuo line not only makes a couple types of espresso but lots of coffee as well! The bundle back also comes with their milk frother and a starter pack of coffee and espressos to try! I have this machine and I love it! These headphones are perfect for the dad who loves to workout or who is always traveling for work. 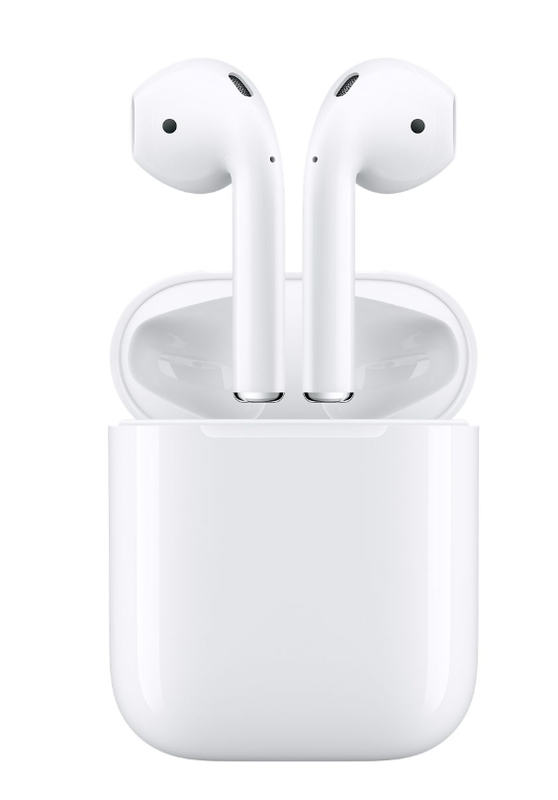 Apple AirPods connect to any Apple device and make listening to music hands free and easy. They charge in their case and stop playing music when you take them out. What dad would not want these?! Looking for a gift for a more simple dad or one who hates gifts? Get him this beautiful Montblanc, PIX Blue Ballpoint Pen! Inspired by the Bauhaus, your dad will appreciate the craftsmanship in this pen. He also can use it when he signs important papers at work and will always be able to think of you! Want to give your dad a gift he will love and can help him relax this summer? Why not a hammock for the backyard? He will love getting to relax in it after a hard day at work or on the weekends as he enjoys a beer. My uncle got one this year, he loves it (so does my aunt who bought it) and I thought what an awesome gift. This one is also a great price that wont break the bank! Amazon's Echo Plus is one of the hottest products out there right now. Surprise dad by giving him the gift of Alexa and all the amazing things she can do like play his Spotify, tell him the weather and order him a pizza. If you really wanna blow him away get him "Nest" also and Alexa can turn his lights off and lock the doors for him. I love when I get to spend a day with my dad. So for Father's Day this year spend the day with dad by going to see his favorite team, or artist! Whether its baseball, football or a concert you'll have a great time together and he will be so excited to spend the day with you! Does your dad love to cook? Blow the mind of the foodie in the family by going in with your siblings and getting your dad an amazing grill! With 424 square inches of cooking area and three burners, your dad will be over the moon with his ability to grill so many things at the same time and who knows maybe he will even share some foods he grilled with you? If your like my family, then your mom always thinks what your dad gets as a gift is a gift for both of them. So really spoil your dad this year and get him something that can really be his. Something your mom already owns! Just like this awesome wireless speaker. This way he has a chance to play some of his music and can enjoy doing anything around the house.